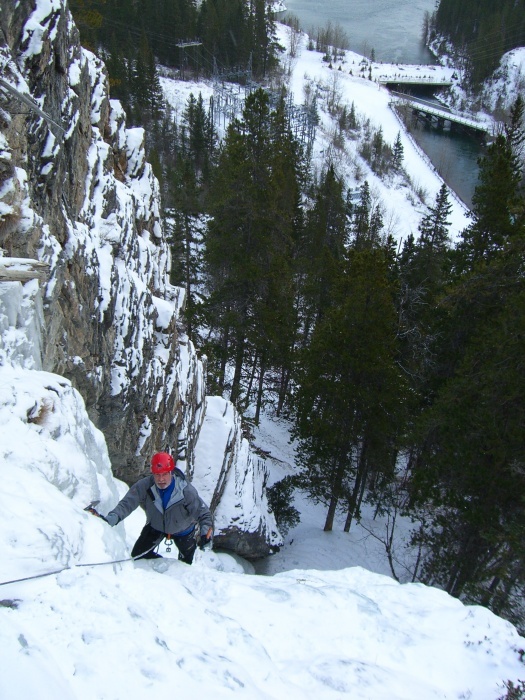 The Canmore Junk Yards is the best beginner and practice ice crag we have, close to town and lots of easy grade 3-4 ice to climb. 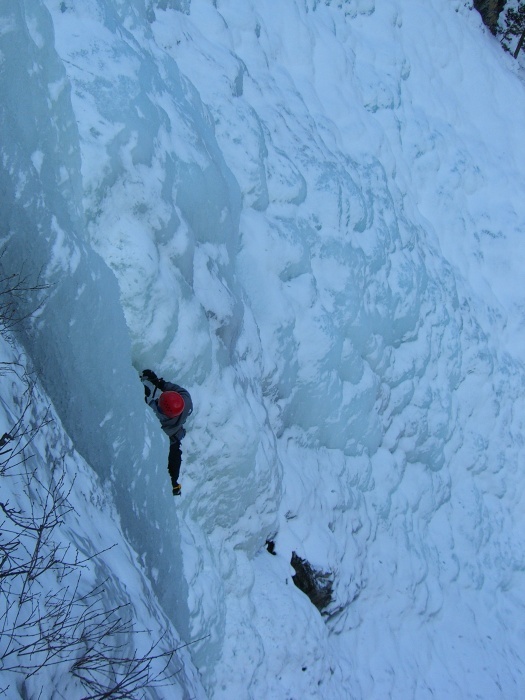 The main wall has 30 meters of grade 3 and a short curtain of steep ice on the left side. Scottish Gully is a favourite with 40 meter grade 3 ice, surrounded by rock. There are also a few very good 30 pitch climbs on the Upper Wall, next to the main waterfall. 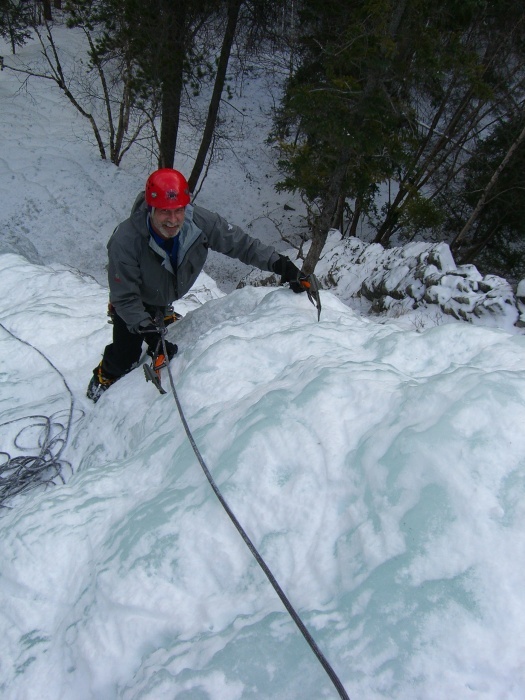 Guest's need climbing equipment that can be rented locally. Mountain boots, 30L pack, lunch and suitable clothing for the day. The Junk Yards are suitable for 4 climbers to one guide for skills or top roping.